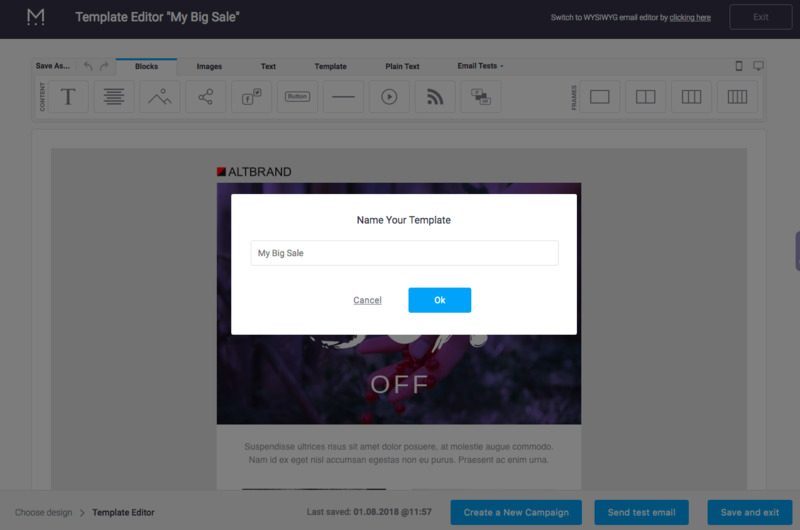 When you have made changes to your existing template, you can click on "save and exit" button in the bottom right corner which will pop up a window asking you to name your template. If you want the changes to be saved in the existing template just click ok without changing the title of the template. Note: If you change the title of the template it will be saved as a new template. You can also click on the "exit" button on the top right corner which will give you "You are about to exit without saving changes made to the template" message. If you don't want to save changes, click "exit without saving". If you decide to "save changes", you will be brought to the "name your template" pop up window. When working on a template it is autosaved every 30 seconds. The recovery files are kept in Recovery folder under "My templates" so in case you accidentally leave the page without saving the changes, you will be able to recover it. Note: The recovery file won't be saved, if you click "exit without saving"
Recover – overwrite the existing template with the autosaved information. The existing template's information will be lost in this case.